In a rather bold statement, Nokia's executive VP of sales and marketing has called out Samsung directly in anticipation of Nokia and Microsoft's press event scheduled for September 5th during Nokia World. Just as expected, Nokia World will be the venue of choice for Nokia and Microsoft to unveil the first Lumia devices running on Windows Phone 8. The latest version of Microsoft's mobile OS wasunveiled in June and everyone has been eagerly waiting to see some actual phones powered by it. It's no secret that Nokia has lost major ground to iOS and Android devices in the smartphone realm. The largest portion of that has gone to Samsung, which now controls some 21.6% of the global mobile market (this includes both smart and feature phones). So now that the first volleys of the WP8 hype-war have been fired, we won't have to wait long to see if the platform will be enough to dig Nokia out of its hole. Microsoft has gain Finn's Finest Com. The Nokia ..,and am very proud that nokia has been quite part of my life for having one of their phones. Affordability, Quality, and etc.. 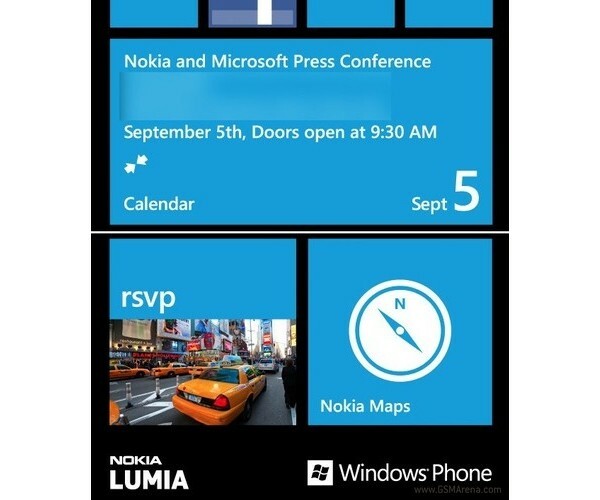 I will surely get a plan for WP8 for it.. Looking forward though. !